And not only are these stained glass doors lovely but they are also pocket doors! And how sweet is that westie vase on such a well styled table!? blair, you are amazing at hunting down the eye candy. seriously - this space is gorgeous!! loving that westie too!! No need to apologize. Sorry you're not feeling well, but glad you had an enjoyable event. I am very much over these negative temps. It's doing nothing for my mood! Love those pocket doors. They're so ornate for something that can just slide out of sight! A wonderful weekend to you as well! Feel better. oh the doors in that first shot ...AMAZING. What gorgeous rooms! Cassandra is right, you are amazing at finding the most beautiful spaces. Oh, tell me about cold temps! I'm going to stay home this weekend wrapped in a blanket! Ohmigosh, i want to redecorate my house now. I love the dramatic impact created by either one huge painting/photograph, or dozens of tiny ones. The little pictures in the first photo appear to be individually framed - must have taken some time! I wonder if they were all done at once to create an immediate effect, or whether we're looking at the result of years of collecting? Either way, they look great! Loving that second space so! Hope you feel better, darling B! How cute! We have a westy named Wellington and my mom would love to have that vase to put on her table. I also love the high ceilings in both of the pictures. Hope you have a great weekend! Have a fantastic, relaxing, weekend Blair! What a beautiful collection of shots. 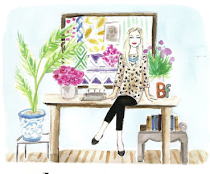 (I, too, adore that westie vase: adorable). Love the art shelves! Hope you have a wonderful weekend and take a much deserved rest! Loving the high ceilings, hope you have a great weekend. Blair, hope your weekend is relaxing!! 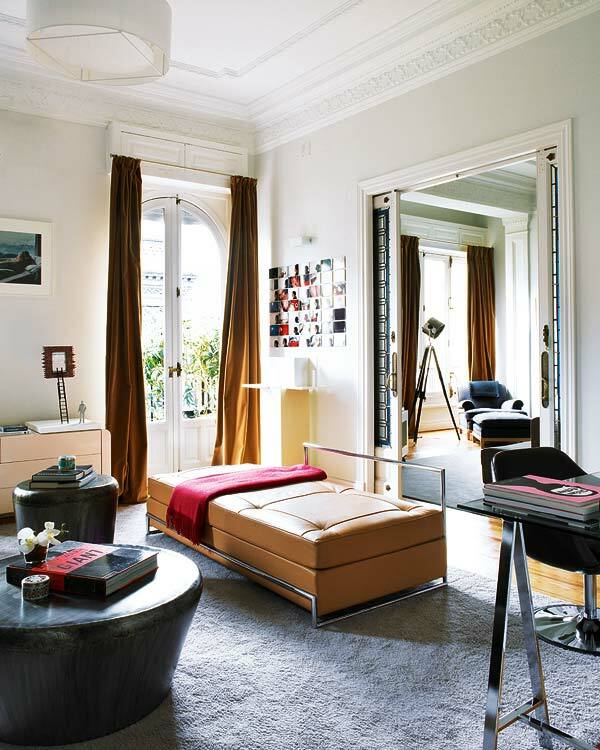 I really love that Eileen Gray sofa bed!! one of my favorites! What an amazing idea! Those doors are gorgeous and who would have ever thought of that? I know not me! The westie is also adorable! 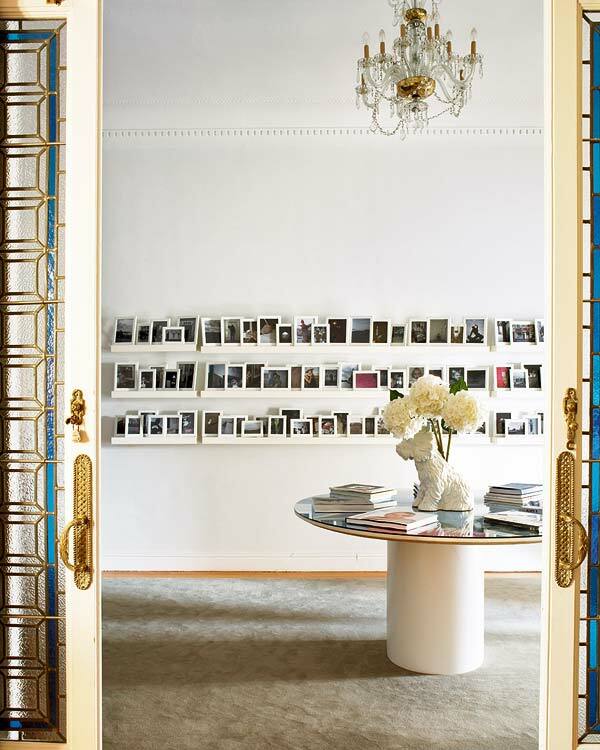 Oh lovely - stained glass + sleek little pocket doors, amazing! I think these are the coolest doors I've ever seen! Love them! loving the photo display as well. Nice post. Thanks for share.